And look at those big giant blue eyes -- he has Christmas Wonder down pat! 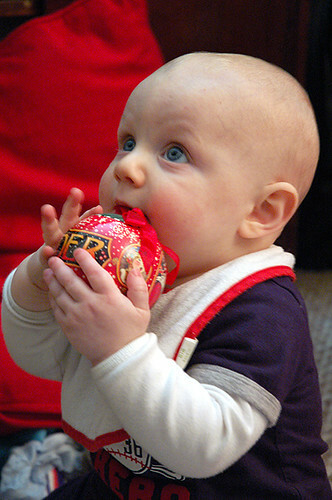 First Christmas? May it be a wondrous one. god that is a great picture.